Leonardo da Vinci was born on 15 April 1452 in Vinci (near Empolia), Italy. 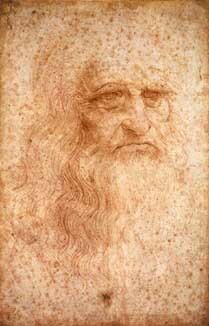 Leonardo da Vinci was an Italian artist and scholar who had many talents in addition to his painting. He worked on mechanics, though geometry was his main love. He was involved in hydrodynamics, anatomy, mechanics, mathematics and optics. Leonardo da Vinci died on 2 May 1519 in Cloux, Amboise, France.